Modern bedroom space is favored in today's villas. 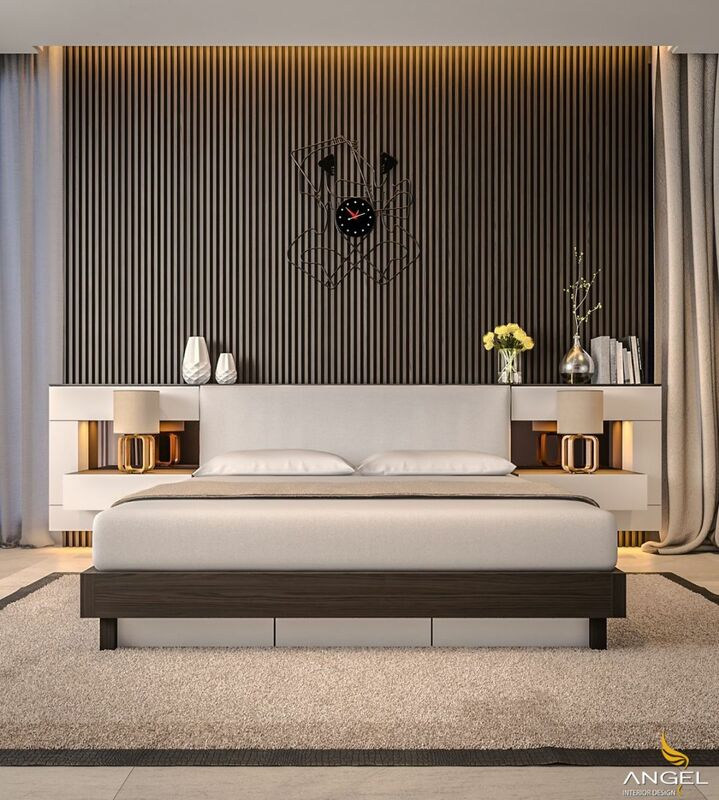 The combination of headboard decor with black mysterious black stripes. A pretty high-grade metal watches create the power of time. Beds are designed with modern luxury wood when combined with cream color is what is equal. Gold, silver, and porcelain beauties gleamed on the light. Bedding marble and ash gray adds a quiet atmosphere. The TV is located opposite a wall decorated with a symmetrical bed head. High jewelery shelf next to the white curtain and glistening ash. Use metal in interior design to decorate the bedroom. Small details are carefully processed to the eye level. In contrast, dark wood and stone glaze contrast with the light of the eye. 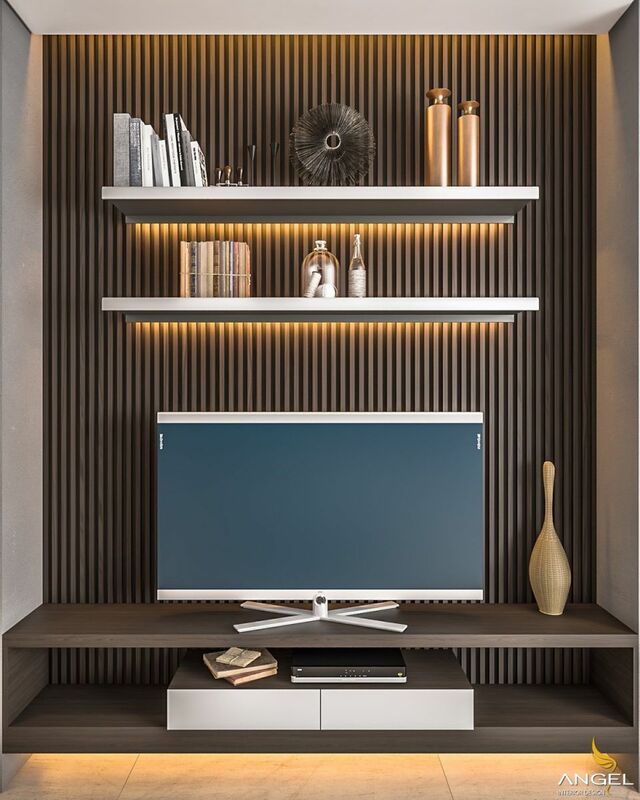 LED lighting shines beneath the shades that illuminate the metal fittings, forming an excellent aesthetic contour for the TV shelf. TV shelf just enough capacity, size just enough, you will feel orderliness. Long time use will also be less dirty because the color of the cabinet will help you to clean.